We carry concession cups in several sizes, perfect for offering customers small, medium, and large beverages. 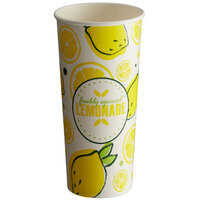 You can also choose between lemonade cups with or without accompanying lids and straws, depending on your needs. 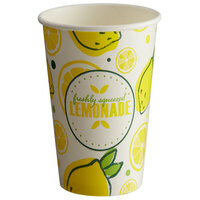 Not to mention, many of our lemonade cups feature unique and fun graphics printed on them. Lemonade cups are perfect for amusement parks, snack bars, and stadiums that serve lemonade and other refreshing beverages. These concession cups are available in multiple capacities, so you can offer one or multiple drink sizes to your customers. 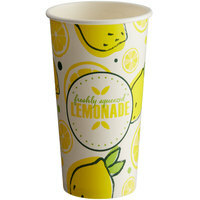 You can also choose between disposable paper cups and plastic cups that can be used as souvenirs or promotional material. For more lemonade-related items, check out our commercial electric juicers, cold beverage concentrate, and disposable concession supplies. 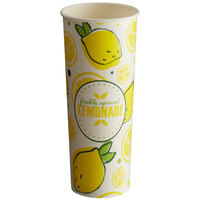 If you're wondering where to buy carnival king lemonade cups, we have a large selection of carnival king lemonade cups for sale at the lowest prices.